Alpha Education was set up in August 1995 in Manchester, as a sole trader operation, to provide multicultural educational resources for schools, libraries, nurseries, after school groups and parents. It has always been a passion of the company, to help young people from any cultural background to develop a positive self-image and grow into well â€“ rounded individuals able to reach their full potential. In January 2001, we relocated to Nottingham, where we worked closely with the Ethnic Minority Service to provide multicultural books to the schools. We also partnered with the Association of Caribbean Families and Friends (ACFF) and delivered projects and organised cultural weeks, after school functions and holiday clubs during the school holidays. In September 2008, Alpha Education moved in a different direction and the company became a limited operation. Delivon Francis, a former school teacher with over 20 years experience came on board and introduced workshops into the business. Over the last 17 years, Alpha Education has been promoting positive identity material within schools, and giving best advice on suitable educational materials for different organisations. Alpha Education provides educational programs to schools and local community groups. The company works in two main areas; Multicultural books and Workshops. We provide multicultural educational supplies, such as multicultural books, and inspirational posters. We stock a large range of versatile books for schools, nurseries, libraries, after school clubs and parents. 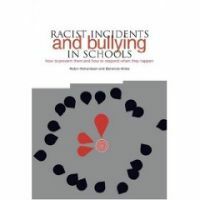 We are committed to sourcing the best multicultural books and materials which support the multicultural anti-racist themes within many areas of the National Curriculum. With over 17 years of experience, we are the preferred local supplier of multicultural books and materials to local schools and the parental market. The other area that we work in is providing unique workshops and programs for schools and local community groups. The main areas that our workshops cover are health and cultural awareness. These workshops are comprehensive, and fit in well with the school curriculum, due to the teaching background of our director. Our workshops are accompanied by specifically designed follow-up sessions to help the children absorb, recap, and retain what they have learned. Our variety of bespoke workshops enable children and young people to develop positively and explore issues related to culture and identity. Our workshops empower young people to better perform their role as active citizens, both within school and the wider society. We welcome invitations to hold displays and participate in multicultural educational promotional events, sponsored or hosted by schools, libraries LEA's and other community organisations. Our online events calendar shows the dates we are available. Please contact us to discuss your requirements.